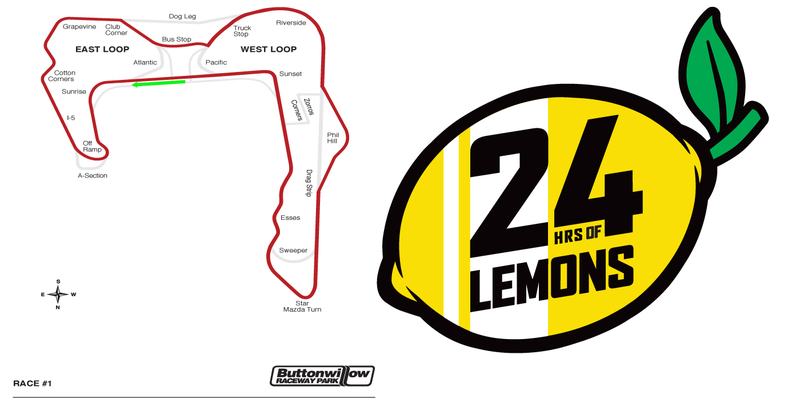 Lemons is not charging any spectator fee at this event, however Buttonwillow will charge $10 for a Buttonwillow Facility Admission Pass at the gate for Spectators, Participants, and Lemons staff alike. This Pass will allow full weekend access. Kids 13 and under get in free. Full day testing 9am-5pm, $TBD/car and $TBD per driver. Half day testing 1pm-5pm, $TBD/car and $TBD per driver. Drivers' meeting for full day testing at 8:30am. Half day at 12:30pm. Sign up and pay at the Buttonwillow office, at the front gate. 4pm-Midnight: Early arrival & Setup. Don't arrive earlier than 4pm, or later than midnight -- wait until gates open at 7am Friday. 9am-5pm: Buttonwillow Operated Test Day. Full / Half day info above. 5:30pm: Endangered rat field study resumes in the paddock. Bathrooms: Permanent, with showers, and running water onsite.